Provides an afferent stimulation (afferent meaning to take from the outside toward the inside) i.e. skin to brain, to change the efferent(opposite afferent) output in the direction of the therapeutic intent. When the tape is applied to the skin it mechanically stimulates touch receptors. This mechanical stimulation is then converted into an electrical signal through the process of mechanotransduction. Mechanotransduction of the kinesiology tape sends an electrical impulse traveling on A-beta fibers(skin touch receptors) through the central nervous system to the brain. A-beta fibers are larger and faster than pain C-fibers. The result is that there will be greater skin touch impulses than pain impulses reaching the brain. As the pain signals diminish, the ability of the injured muscle to activate is restored. 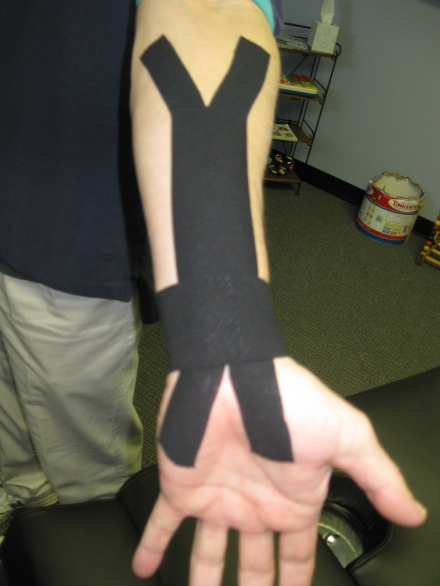 The tape allows impulses of touch to reach the brain before the pain receptors reach the brain. 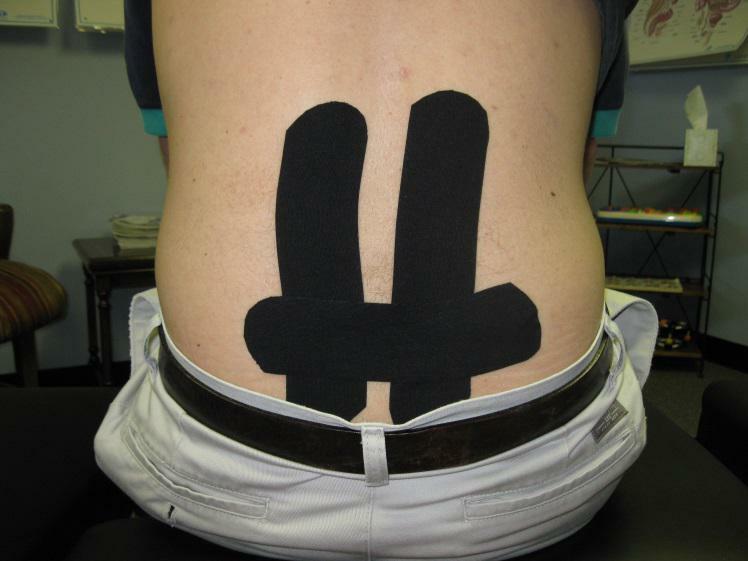 There is an override that allows the injured muscle to heal.